Brian Burtchett joined Pioneer Pacific as Executive Camp Director in 2008. 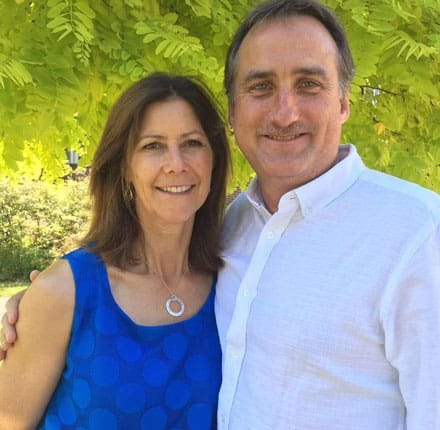 He and his wife Kaycie have been involved in Christian ministry with teenagers and young adults for over 20 years in the United States and Canada. 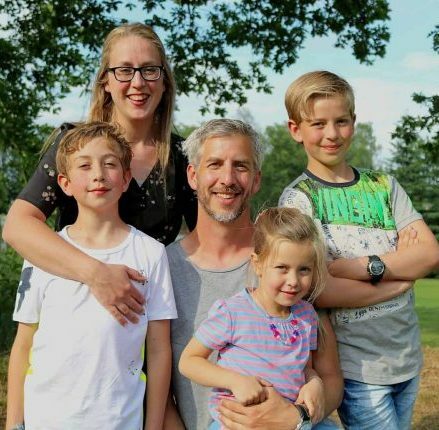 For eight years they served with King’s Kids in the Netherlands, a sub-section of Youth with a Mission (YWAM). They have taught and led groups of multinational young people across Eastern and Western Europe, Africa, Asia, the Caribbean and North America. 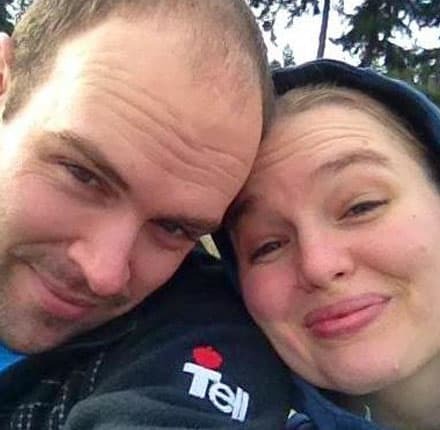 Team building and relational discipleship are the strength of Brian and Kaycie’s ministry. The Burtchett family came to Canada in 1997 at attend Regent College where Brian completed a Master of Divinity and a Master of Theology in New Testament Studies. Brian and Kaycie have five children. They live on Thetis Island from June to September and in Vancouver the rest of the year. John and his wife Andrea grew up in Grand Prairie, AB and moved to British Columbia in 2002. They joined Pioneer Pacific’s team in 2009. John has attended both Peace River Bible Institute and Briercrest College, where he studied Outdoor Leadership. John and Andrea have been involved in camp ministry since their teens, serving with Scripture Union Camp in New Zealand. They also worked at Camp Qwanoes, BC, where John was part of the camp maintenance team and oversaw the boat driver team and Andrea was assistant to the Director of Staffing. John and Andrea live in the Hawley House on the camp property, with their three children. Mirjam joined our team in 2017 as the main cook for the summer and as the administrator during the rest of the year. 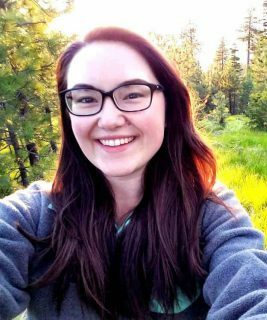 Together with her husband and three children she volunteered at camp in 2016 and fell in love with the work and the community of Pioneer Pacific. 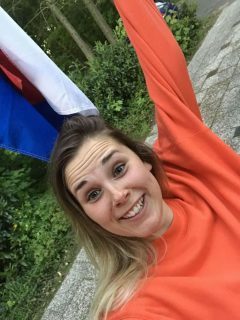 As a sixteen year old exchange student from The Netherlands, Mirjam lived in the States for a year and joined the local Young Life group in high school. The unique approach to fun, faith and fellowship was nothing like she had ever experienced before. She knew in her heart that working for this kind of ministry was her calling and 18 years later this dream became reality. It should be no surprise that her passion for food combined with her formal education in international management makes her a wonderful addition to our year round team. Naomi Taylor is 21 years old. Currently lives in Vancouver but has also lived in Mexico and England. She is a student at Douglas College. Issie is from London (UK not Ontario!) and first came to camp last year. She enjoyed the Thetis sunshine so much that she is back again. 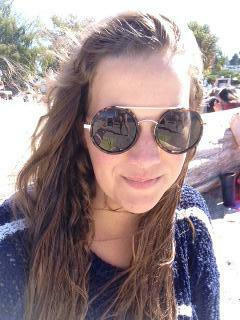 Issie has just finished taking a year out from studying and is planning on going to university in September. Ian completed his LIT training last summer and has been a part of the pioneer community for 7 years. 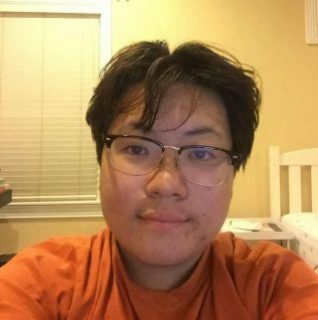 Ian is currently a senior student at Vancouver Christian High School. Last year he served as his class representative and is chair to his school’s cancer awareness club. Once a month, Ian joins with his school’s worship team to lead chapel as a vocal singer. He is excited to join staff this year and looks forward to cabin leading. Ben has been going to camp since he was two years old, and he absolutely loves the place. He’s outgoing, and always ready for an adventure. Ben’s hobbies include basketball, guitar, singing, and video games. Ben is in the engineering program at UVIC, and will be pursuing software engineering in the future. This is Calvin Tse. 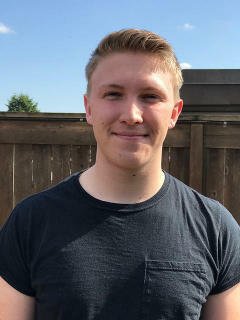 He is going into his second year of Mechatronics Systems Engineering at SFU. He was born into a Christian family and has been a Christian for 10 years. Calvin is a new addition to the Waterfront Staff this year. He looks forward to getting to know everyone and spending his summer tossing kids off the tube into the ocean! Elanor (Nory) was born on Vancouver Island and has lived there for most of her life. She loves hiking, dancing, playing piano, cooking, biking, running, meeting new people and spending time outdoors. 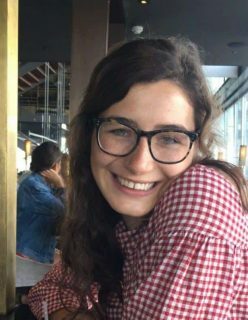 Elanor lived in California for a year and danced in a professional ballet company before moving back to Victoria to study political science and filmmaking at university. Elanor is very excited to meet the campers at Pioneer this summer and spend time with them learning about God in the beauty of nature! Isak has just completed his first year in the Arts One program at UBC. Having grown up internationally, camp has been a place where Isak has been supported by his peers and leaders. 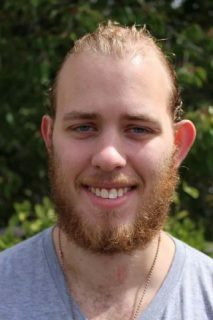 This will be Isak’s third summer on staff, after completing the Pioneer Youth Crew and Leaders in Training programs. He has enjoyed being a cabin leader for the last two summers, and is really looking forward to serving in a new capacity on the water front team as a Life Guard. 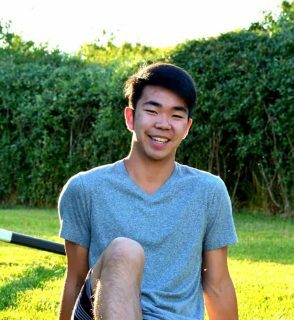 Isak loves being by the sea and doing fun activities, and is excited to be able to provide the same opportunity to young kids. Rachel is a 22 year old from Bellingham, WA. She will graduate from college in the fall with a degree in Math and Computer Science. She loves board games, arts and crafts, and spends most of her time talking about her cat. This will be Shae’s 15th summer at Pioneer Pacific, and 3rd summer on the staff team. 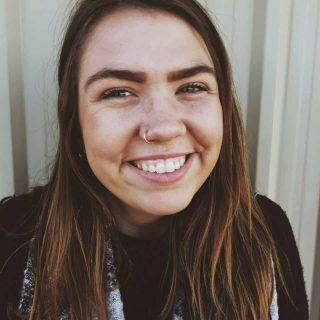 She has a heart for youth in their pursuit of Jesus, and walking along side each and every individual in their unique journey of faith. 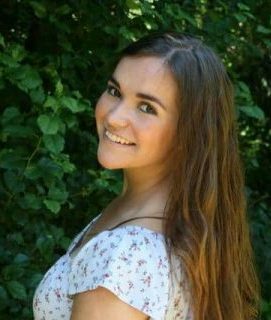 During the year, Shae is a full-time student at Trinity Western University, and is going into her fourth year of studying Business Communications, and Gender Studies in the fall. Ben is from Vancouver and has been attending camp as a camper and volunteer for many years now (he first went to Family Camp at age four, and has been coming back ever since!). He is excited to be spending his first summer on staff and helping to be a part of an amazing camp environment. 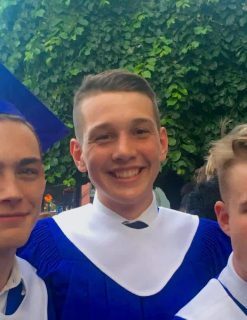 He has just graduated from high school and will be studying full-time at UBC in the fall. 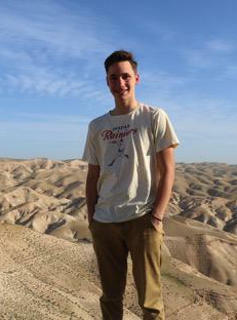 Ben’s favourite thing to do is to travel and he has many great stories and experiences from abroad. 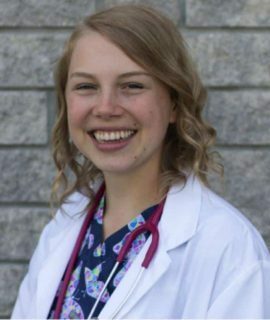 Nina Janssen will be taking on the role of camp nurse this summer at camp! When she first came to camp last summer, she fell in love with the beautiful nature of Thetis Island, the wonderful new friends that she met, and the infusion of God in everything that is done at camp! She is excited to serve on staff this summer and see what God has in store for her future. Graham Love has been attending camp for a period of 14 years as of this summer, both as a camper and as a volunteer/staff member. He was a part of the Pioneer Youth Crew in 2011 and 2012 and did the Leaders In Training program in 2013. He has been on the staff team doing a number of things around camp such as cabin leading, maintenance, kitchen, and helping out on the waterfront. This summer Graham will be on the waterfront team as a lifeguard. He is 22 years old and is attending a special school for cognitive development. Before coming to camp he was working at a swimming pool as a swim coach, teaching kids from preschool to about Grade 8 to swim. He attends Saint John’s Richmond Church, the church where his father is the pastor and helps out with the soundboard on Sundays. Graham is stoked to be on the staff team this summer and can’t wait to get there! A 22-year old girl that grew up in the Netherlands. This is the place where she still lives. At home she has a 20-year-old younger brother and a younger sister who just turned 14. She is a youth leader at ‘ Twenty Four ‘ which is a monthly youth camp program put on by the organisation Youth with a Mission. Besides that she is working at the dutch ‘Dolphinarium’ and worked as a paintball instructor. This summer will be her first time at Pioneer Camp Pacific and will also be her first time visiting Canada! Is she a bit nervous about it all? Chilling out on her hammock after a day full of adventures is something she really enjoys. She likes spontaneous plans and will always be in to help out in some secret surprises! She can act very crazy and will sing mainly about what she is doing all day long. If you ever catch her being quite then she’s probably (day-)dreaming…..
She can’t wait to try out some real Canadian maple syrup on a pancake and is super exited to see wild whales, sea lions and bears. But mostly she is exited to meet all of you guys!